Yohannes Gebregeorgis will be honored on Sunday, May 24th, 2015 by the Society of Ethiopians Established in Diaspora, for his work in developing libraries and literacy in Ethiopia. The award dinner will be held at the Georgetown Hotel & Conference Center in Washington D.C.
Doris Gebel, President of the United States Board on Books for Young People, joined Segenat Foundation Board Members Janet Lee and Jane Mirandette, in presenting a poster session during the International Relations Roundtable (IRRT) session at the American Library Association annual conference in Anaheim in June. The poster featured photos of children reading at the Segenat Children and Youth Library in Mekelle. It also featured photos of the workshop given by Anne Pellowski, International Board on Books for Young People, during her visit to Mekelle in October 2011. Pellowski, a renowned author of books on children’s literature and reading techniques, presented two workshops at the Segenat on producing cloth books in first languages. She has traveled extensively throughout the world presenting workshops on this topic. 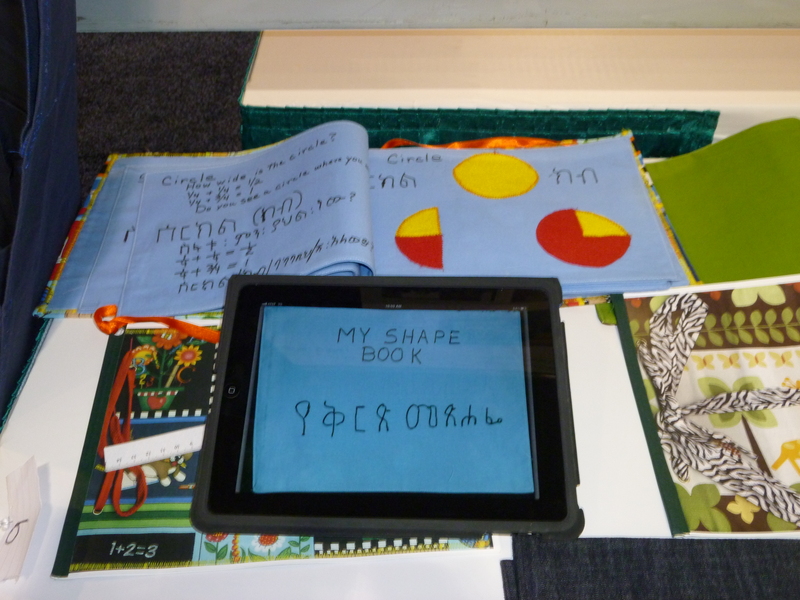 A bilingual cloth book (Amharic and English) that was digitized and displayed on an IPad. 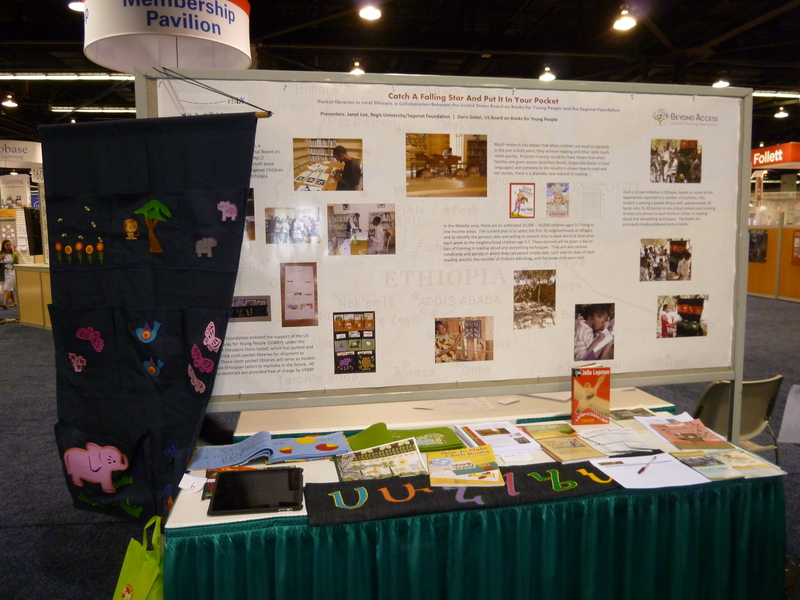 Included in the display were bilingual cloth books written in Amharic and English, Amharic being one of the primary languages of Ethiopia. The cloth books were scanned and printed for increased distribution. The cloth books also display beautifully on an iPad. The poster session was named, “Catch a Falling Star and Put it in Your Pocket,” a popular children’s song, as a way of promoting the newly created Pocket Libraries, another of Pellowski’s creative ideas. Pocket Libraries are easily transportable and can be assigned to neighborhood leaders for use in story times. 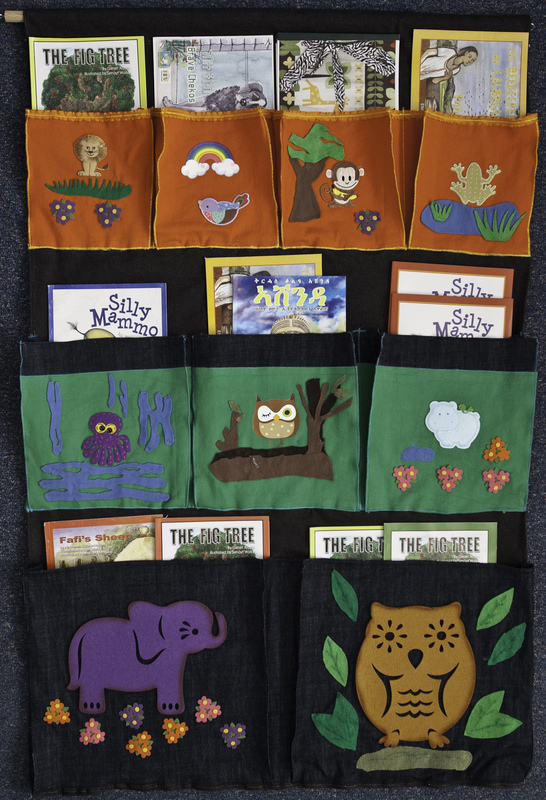 Each pocket library can hold up to 100 children’s books, first language materials preferred. A brightly decorated pocket library hung in the display. Another type of pocket library, more aptly described as a sling, bore the first line of the Amharic alphabet. 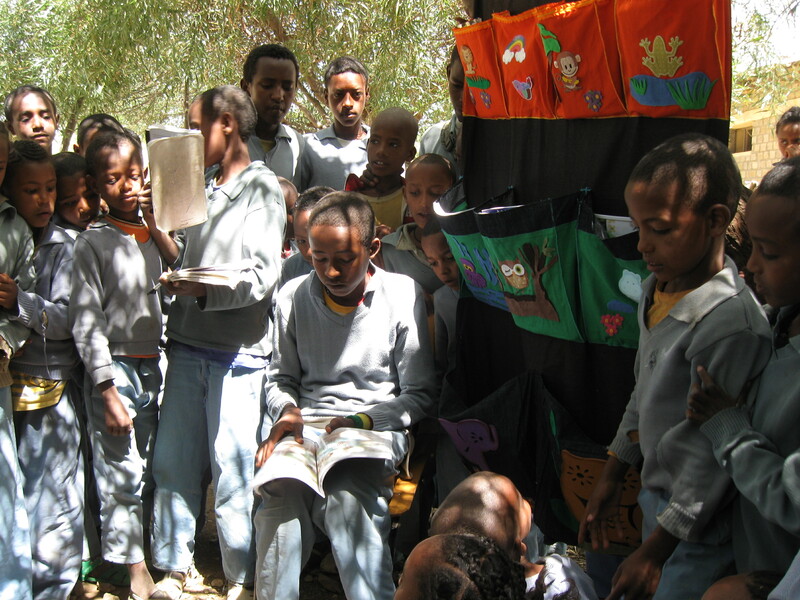 Gebel, and a group of high school home economics students, have sewn a large batch of pocket libraries to be shipped to Ethiopia to serve as models for further production. 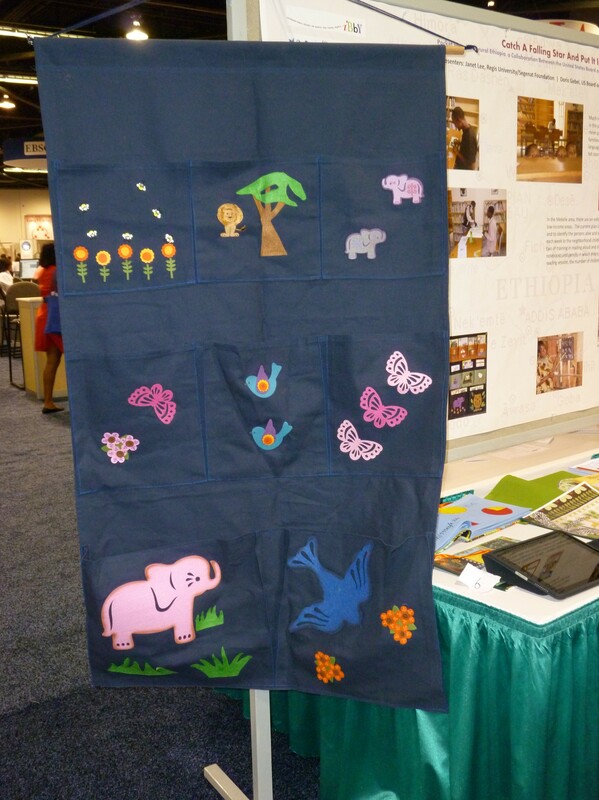 Each Pocket Library can hold up to 100 bilingual or first language children’s books. 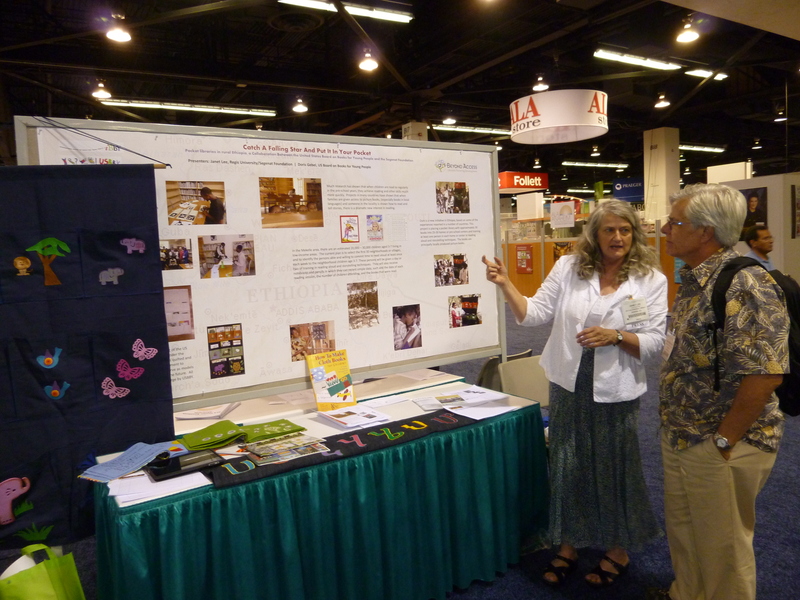 Poster sessions such as these, allow the presenters to directly interact with the audience, and present a more hand on approach in demonstrating items such as the cloth books, pocket libraries, and brochures. 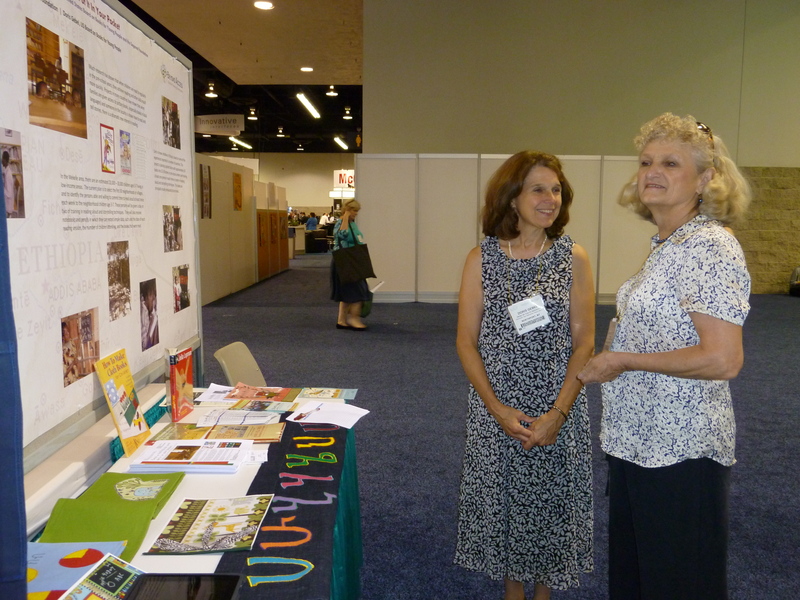 The Poster Session was well attended by librarians and Returned Peace Corps Volunteers from around the world interested in adopting these ideas for future projects. Janet Lee, Segenat Foundation Board Member, speaks to Henry Mendelsohn, Regional Information Office at the US Embassy in Nairobi. 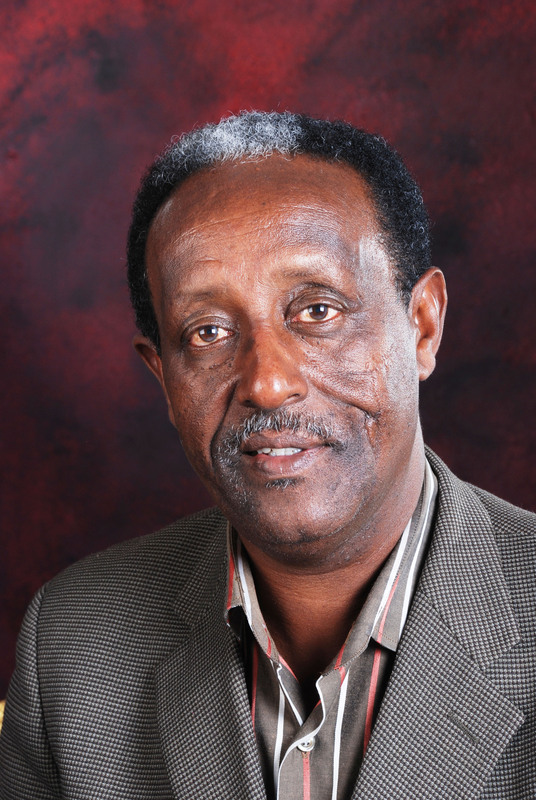 Yohannes Gebregeorgis, Founder of the Segenat Foundation (http://segenatfoundation.org), a not for profit organization that works in establishing libraries and promoting reading and literacy in Ethiopia, has joined the faculty at Mekelle University (Ethiopia) with the Department of Library and Information Science. Mekelle University, located in the city of Mekelle in Tigray Region, is a top-rated university for teaching and research and is one of the fastest growing universities in Ethiopia. The Department of Library and Information Science at Mekelle University is a young department in its early growth stage with great potential to make a difference in teaching and research in library and information science. In 2008, Yohannes Gebregeorgis was named a Top 10 CNN Hero for his innovative work in providing libraries and literacy to children in Ethiopia. He was awarded Honorary Membership to the American Library Association in 2011, the highest award the American Library Association bestows on an individual. He is the author of two bilingual children’s books: Silly Mammo and Tirhas Celebrates Ashenda. Beyond Access is an initiative of IREX, EIFL, IFLA, Makaia, Civic Regeneration, TASCHA, the Riecken Foundation, and READ Global, with support from the Bill & Melinda Gates Foundation. Membership to Beyond Access is intended for public library innovators in developing and transitioning countries who are interested in participating in an initiative to showcase how libraries are contributing to development goals and learning from other leaders in the field. Membership is granted for those who have demonstrated successful partnerships with governments and development organizations in meeting community needs in education, health, agriculture, economic opportunity, and civic participation. • receive support and expertise in expanding partnerships with governments, development organizations and other community stakeholders. 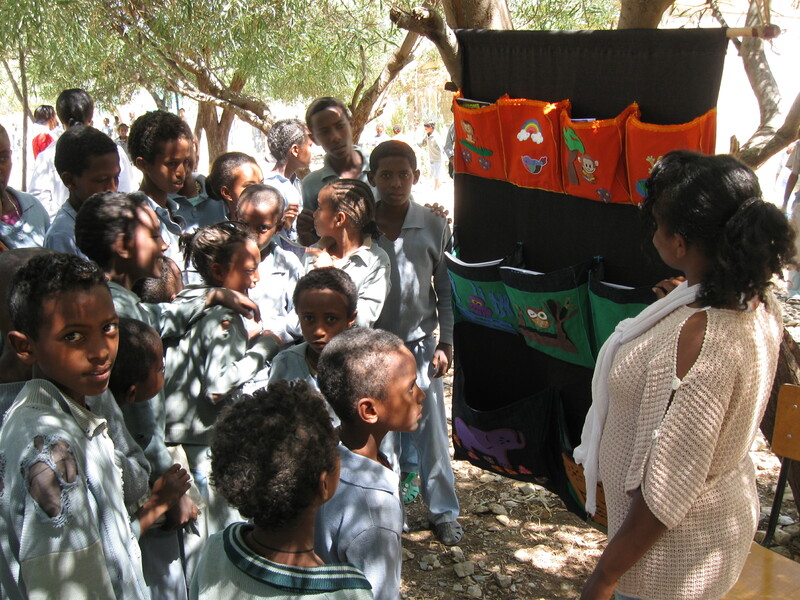 Our first cloth Pocket Library has arrived in Ethiopia. We decided to test drive it at one of our favorite schools: Fre Sewat, the site of the Dr. Thomas Hooyman Memorial Library and Media Center. It was an immediate success. We were soon surrounded by hundreds of children who clamored to read and to have books read to them. The teachers appreciated the mobility of the Pocket Library. Books could be transported from the library to the individual classrooms. The colorful design excited the children and encouraged more reading. We were introduced to the concept of the Pocket Libraries by our friend Anne Pellowsi from the International Board on Books for Young People. Anne visited the Segenat Children and Youth Library last October to demonstrate the concept of producing cloth books in local languages. Cloth is an ideal medium for making one of a kind books in local languages since cloth is easily available and does not require any specialized equipment. The United States Board on Books for Young People has volunteered to produce additional Pocket Libraries and these will be shipped to the US later in the month. These will easily be replicated by our fine tailors, here in Mekelle. The Pocket Libraries will be filled with locally-produced books and distributed to leaders in neighborhoods and in rural areas. 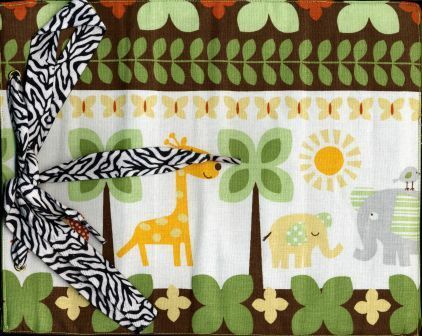 They can be hung on a wall, in a classroom, or as demonstrated here, outdoors on a tree. It appears that they are definitely a hit! 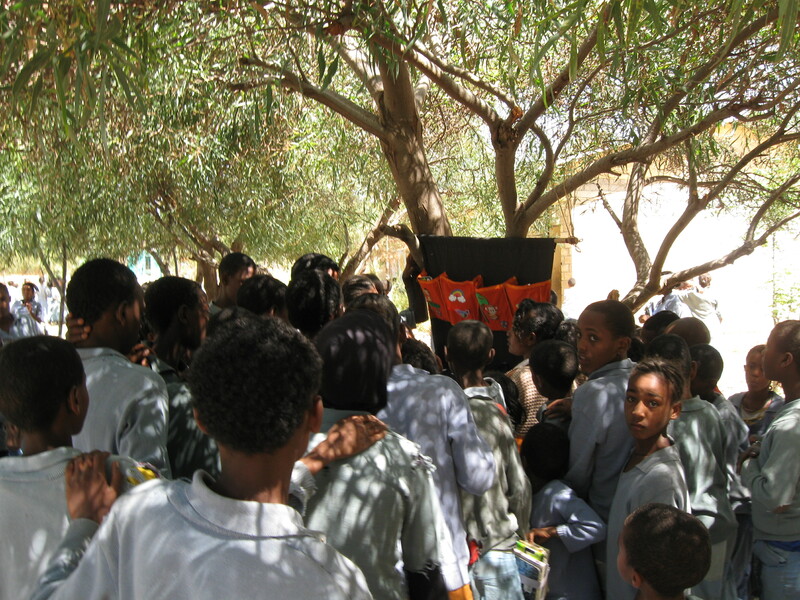 Many children gather around to find a book from the cloth pocket library. Hundreds of children surround the pocket library at Fre Sewat Elementary. Older students enjoy reading to the younger children. 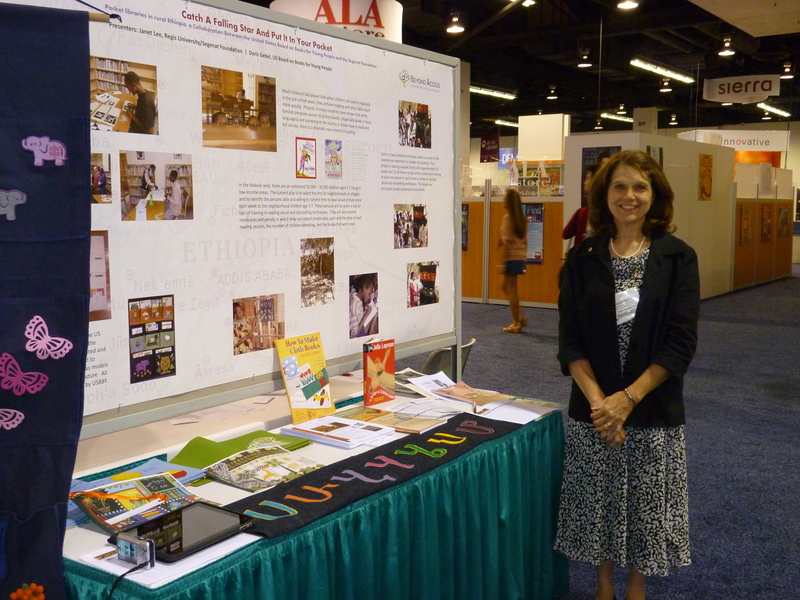 Our volunteers in Ethiopia and in the U.S. have been hard at work: sewing, writing, publishing. Based on the very successful cloth book workshop conducted at the Segenat Children and Youth Library by Anne Pelowski, International Board on Books for Young People, we have two books at the printer crafted by local authors. These books were fully funded by generous donors. That enthusiasm has spread across the ocean where quilters with the US Board on Books for Young People have made great progress in crafting pocket libraries. 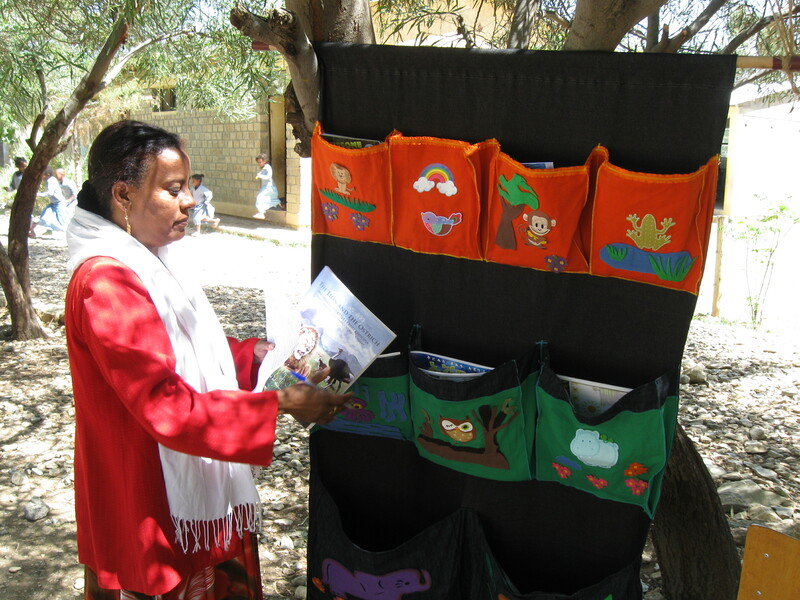 These pocket libraries will hold approximately 30 locally-produced books that will be loaned to designated neighborhood leaders in city of Mekelle and beyond. We know how important it is for young children to be able to read stories in their mother tongue. It is the foundation for later learning as they progress through school and become the leaders of the future. 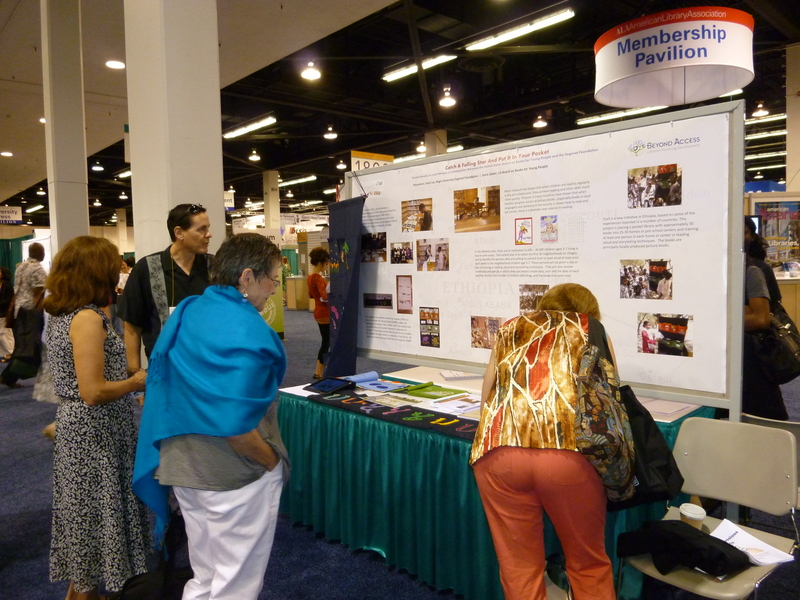 For those librarians among the readership, please stop by the poster session at the American Library Association conference in Anaheim, CA co-sponsored by the Segenat Foundation and USBBY. There you will get to see examples of finely crafted cloth books, print copies of these books, and pocket libraries. My First Counting Book: a bilingual number book in English and Amharic. This hanging pocket library will hold up to 30 bilingual children's books to be used by neighborhood leaders for weekly story time. 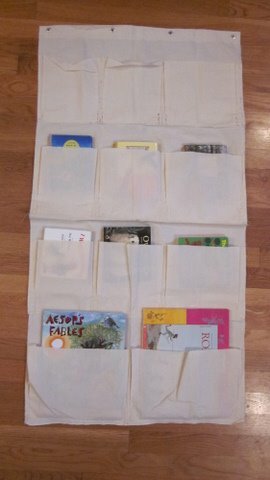 This simple to transport pocket library will hold up to 30 bilingual children's books. A simple cloth pocket library filled with local language materials ready for use. The Segenat Children and Youth Library has received many volunteers and visitors since it opened over a year ago. The experience affects them in many profound ways and they frequently tell their friends and colleagues, continue with fundraising efforts, dream of ways in which they can return. We have just received a blog that was posted shortly after a visit to the Segenat this past summer. We love to hear from our visitors and volunteers! I was able to drop off 49 new books plus one homemade one to the Segenat Library. These were donations from the kids at Goodwin. On Saturday, another volunteer and I decided to take all but the two youngest full time children with us to the library for the puppet show. (1-10 year old, 2-6 year olds, 2-five year olds, 2 almost 2 year olds and her 2 1/2 year old son). Even the short walk there was an adventure. Unfortunately for some reason the puppet show was a no-go, but it was almost better. I loved seeing them experience the library. We kept most of the kids contained in Janet’s Reading Nook. Our biggest guy found the Tigrigna books and started reading. The kids picked board books, picture books and puzzle books and went to town. Once they got the concept, they were hooked!! It was especially fun to see how our bitty ones loved being read to and looking at books. There is one little girl who is pretty new and this was the first genuine smile and animation I’ve seen. Other children joined the two crazy Ferengi women in the nook and several staff and children just stood outside of it and watched us. I don’t think they’ve probably ever had seen such a mix of small children there together. After about an hour and 15 minutes, we helped our children clean up and had to practically drag a couple with selective hearing out of there.. .